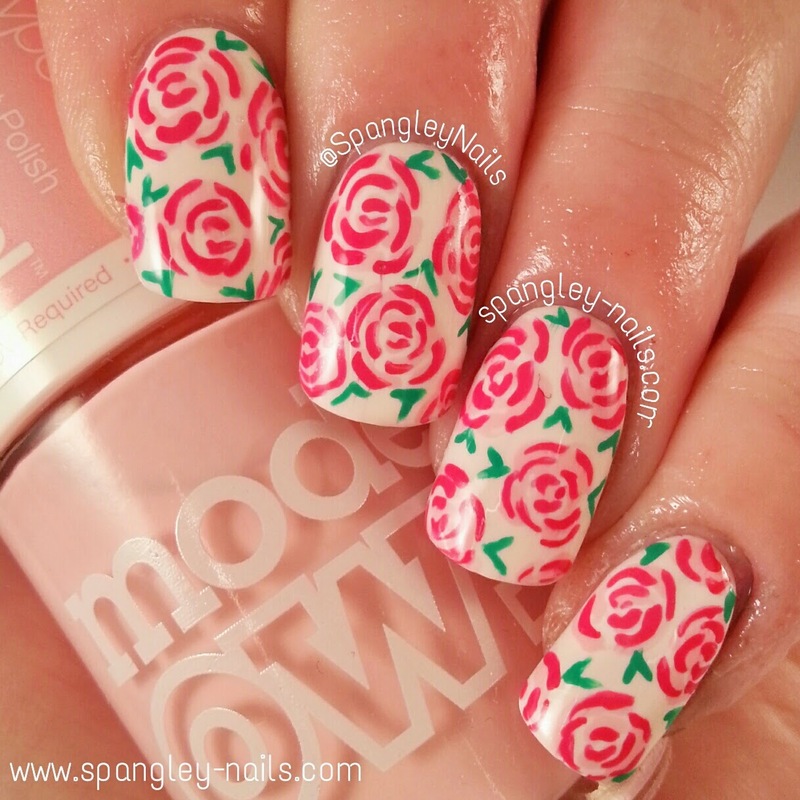 Spangley Nails | UK Nail Art Blog: Pink Roses With Video Tutorial! 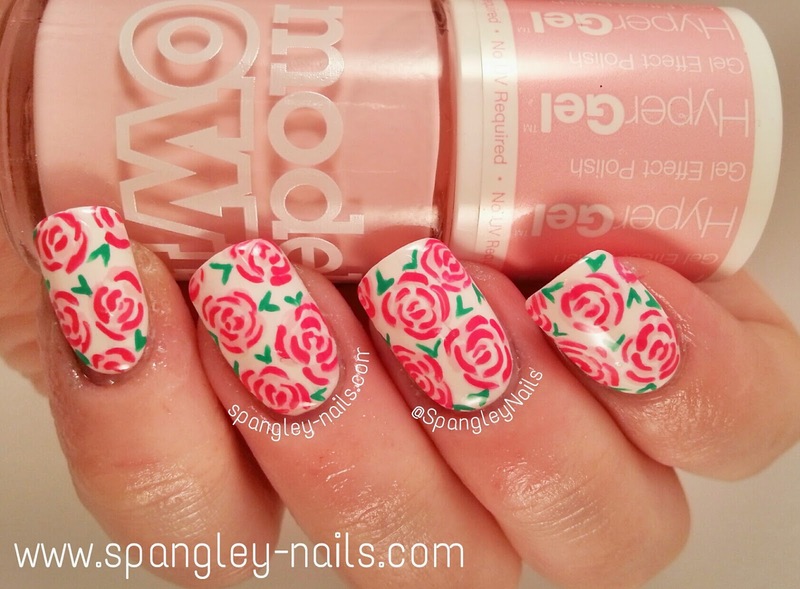 Pink Roses With Video Tutorial! I've started making the Nail Painting process a lengthy but exciting one for myself, but a great and equally as exciting one for you readers. I paint my nails then take and edit the pictures as well as write a detailed blog post including extra pictures and the polishes I used. I will then film & edit a 15 second tutorial for my Instagram followers, but I will also post it here on www.spangley-nails.com and Facebook. Phew - alot of work, but worth it in the end for both you and me! I will always post the video on here before it goes live on any of my social media sites, so be sure to check it out here if you want a sneak peak. 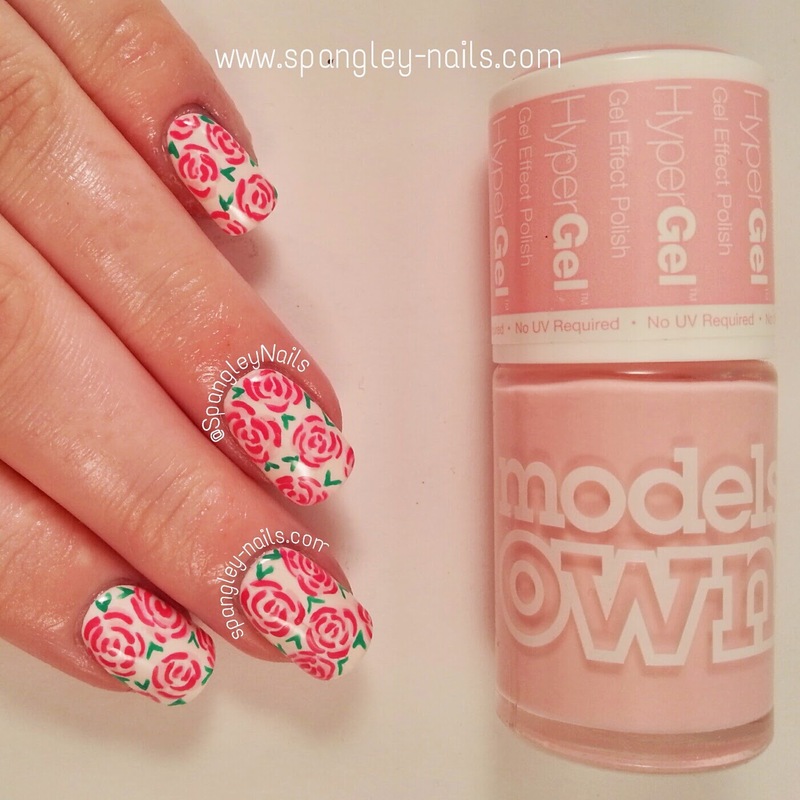 The design today is this really pretty Rose design featuring a Models Own Hypergel Polish. I started off by painting all of my nails with 2 thin coats of Coconut - this is a gorgeous Barry M Gelly that is an "off-white" colour. Once that was completely dry, I used my small nail art brush and Pink Veneer to add random large thick C/curved moon shapes all over my nail. 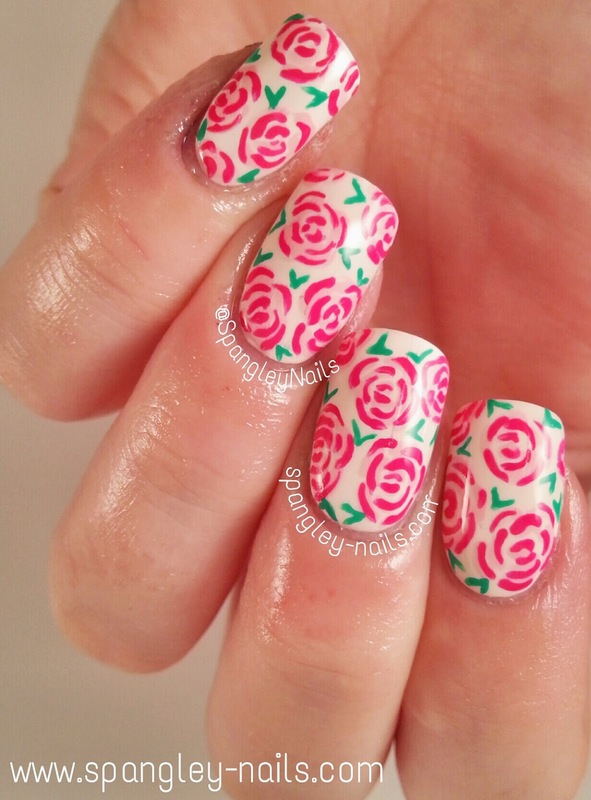 Once that was dry, I used my thin nail art brush to add the accent of Twisted Pink to my original shapes. Whilst that was drying, I went back in with Kiwi and my thin nail art brush to add random V shapes attached to the flowers as leaves. Its all topped off with a coat of Seche Vite.